After our successful bike trip from Jasper to Prince Rupert, and our Costa Rica trip, we’re setting off again, this time on the other end of Canada. We are currently biking from Quebec City to Halifax. It’s some of eastern Canada’s best cycling country, and we’ll be there for the full display of fall colours. Read further down this page for our latest updates and pictures from the trip. Day 1 was Quebec city and Isle de Orleans, (a pastural island with cheese chocolate and) cidery shops. Day 2 was the riding the Bellchase (a 78 km paved rail bed through the countryside). We cycled the coastal road of the Isle de Orleans. The Isle is east of Quebec City in the St. Lawrence and the place where Wolfe’s British forces assembled before the battle with Montcalm’s French forces on the Plains of Abraham. The coastal tour of the Isle was beautiful riding and about 65 K’s to circle the Isle. Leaving the delightful Auberge de Glacis and it’s wonderful cuisine in Bellechasse County ( you need fuel to ride) we made our way to Kamouraska. We rode about 80 K’s through beautiful farms and alongside a very windy St. Lawrence seaway. This section of the seaway is an estuary with massive tides and lovely seaside cottages. We live in a beautiful country. Off to Woodstock New Brunswick today. Leaving Kamouraska we started the next leg of cycling in Florenceville. From Florenceville we made our way during a beautiful Fall in New Brunswick to Woodstock. This leg included the world’s longest covered bridge. We left Wolfville this morning for Lunenberg. The first leg of our ride was around the dykes of the Grand Pre. This is farmland created by a massive system of dykes hand constructed by the Acadians and later English farmers dating back to the late 1600s. The farmland is bellow sea level. Grand Pre means great meadow. We then drove to Chester Basin and cycled to Lunenberg passing through Mahone Bay and Sunnybrook. We took a side trip to Indian Point. Beautiful coastal Nova Scotia with sailboats and colourful cottages. 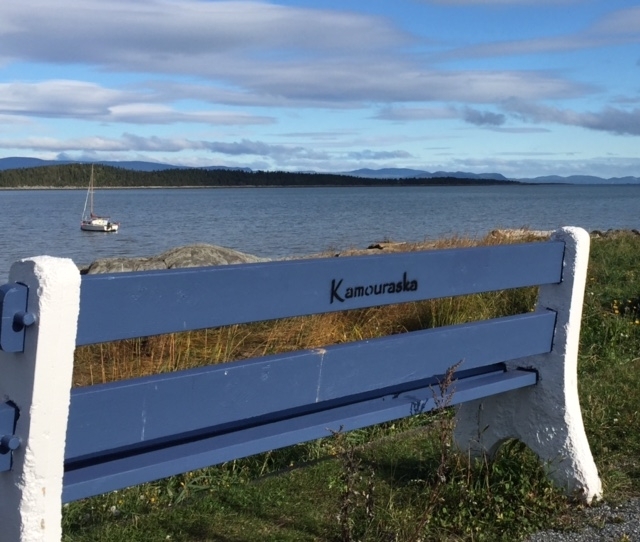 Lunenberg has been recognized as the most beautiful small town in Canada. 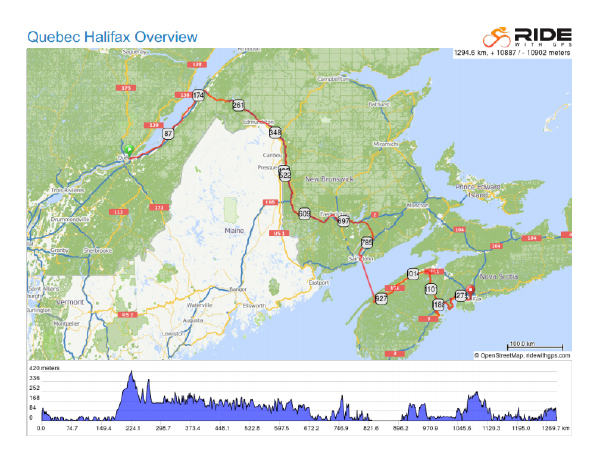 Tomorrow we are off to Halifax to conclude our cycling journey. We had a sunny, warm day for our final cycle from Lunenberg to Halifax. The coastline is dotted with small coves containing wonderful maritime scenery. We road from Lunenberg to Blandford enjoying a hot bowl of seafood chowder for lunch. 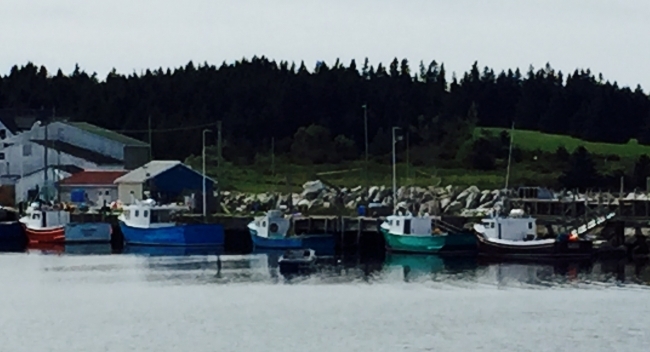 The colourful fish shacks and lobster boats are great for photography. Arriving in Halifax we toured the Local markets and Citadel. The city was full of ocean liner tourists and we learned about the great explosion in 1917. Great city for urban cycling. Now a couple days off and back home to Vancouver on Sunday. 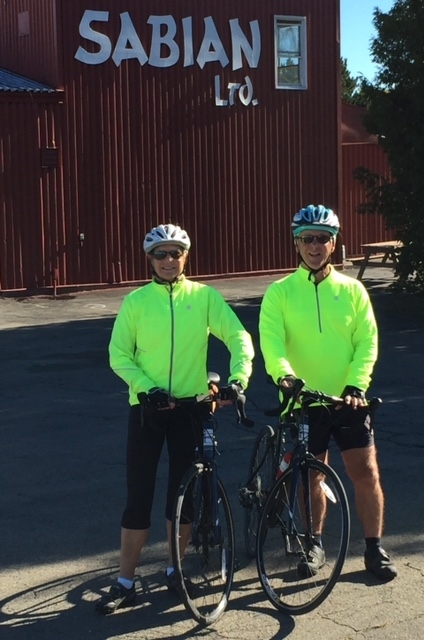 It has been a great cycling trip through Quebec, New Brunswick and Nova Scotia with thanks to our guide Peter Williams of Eastwind Cycle.